Most of the popular diet and weight loss programs are designed for women who have a sedentary lifestyle. Are you a housewife with 2-3 children and are 30-40 years old? Do you think that going for a walk with children is a form of training? No? So why are you going on a diet based on chicken, lettuce and yogurt with a calorific value below 2 thousand? Why are you focusing mainly on reducing kilograms in weight? 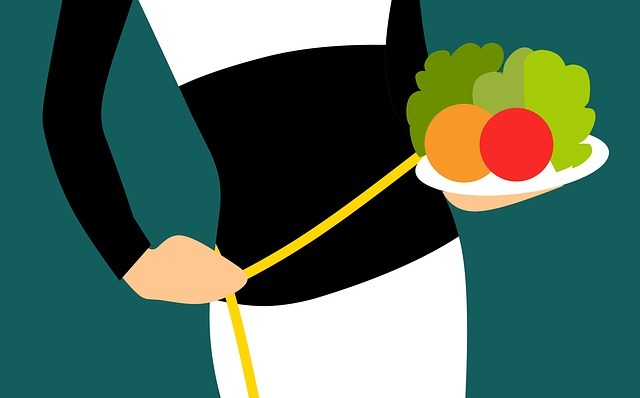 Do you use a restrictive, low-calorie diet and are happy that you lost 5 kg? You forget about how important the composition of the body is. You’re glad you lost 2 kilograms of fat, 2 kilograms of muscle and 1 kilogram of water. Congratulations! You are smaller, weaker, you produce less testosterone, and your metabolism is slower. If you are not seriously obese, want less fat, but also want more muscle, more strength and more athletic abilities, abandon ready-made yogurt-based diets that are simply inappropriate for you. If you want to follow a diet plan to get back on the right track, make sure it’s designed for a training man who cares about being great and being fit, strong and fit. Make sure that this diet takes into account that you want to build muscle and be strong. Tip: such a diet plan is probably not advertised in newspapers or by popular “celebrities”. Most people like to eat and eat too much. So it’s easy to go too far with excess calories when we focus on muscle growth. But there is a difference between eating enough for training, regeneration and hypertrophy, and eating so much… that you’re more like an obese guy than a trained, muscular guy. Big arms do not count if they mostly consist of fat. When the calories are too much for a long time, you do not build muscle, but only accumulate fat. In the worst case, you develop an impaired ability to build muscle caused by excessive calorie intake in a long time. It starts with insulin resistance, goes into resistance to leptin, and when it’s fully developed, it’s manifested by excessive fat gain, loss of “pump” during training, stagnation of strength, inflammation and even low libido. Loss of excess fat after each such mass phase becomes more and more difficult and soon this protruding belly appears, which is difficult to get rid of. A few hundred calories above the zero balance are all you really need to increase muscle growth. The quality of nutrition matters. An additional several hundred calories should come from valuable food, and not necessarily from chocolate bars, candies and beer. Many men fall into the trap of a bodybuilding diet because they copy the diet of their favourite bodybuilder. Problem? Well, most men do not have genetics of a professional, do not do professional workouts, and do not use unlawful supplements that professionals use. Even guys on steroids probably do not use one-tenth of what professionals use. Do not use ready-made solutions. Remember that you are not a professional. Take care of what you eat and how much you eat. Do not go to extremes. Many men today have the impression that if they simply lose 5-10 kg, they will discover a sculptured body worthy of a fitness magazine cover. Later they discover that there was nothing under the layer of fat. Before you start to cut calories and focus on reducing, make sure you have something to discover. The solution here is not a diet for fat loss or weight gain. The solution is to fix basic nutritional and health problems. You need to get rid of the obvious unhealthy foods (sugar, trans fats) that are problematic for everyone. Eat healthy and train to improve the insulin sensitivity of the body. Many men lose fat by reducing alcohol consumption. One beer from time to time after work or weekend, of course, will not ruin your figure. The question is whether you can stop at one beer from time to time. It’s worth realising that half a litre of beer (or one can) is about 250 kcal. If you are drinking a four-pack, that’s 1000 kcal right there. Look at your drinking habits. Do you drink often? Do you drink too much? Include kcal from beer in your diet or give up this golden beverage. You do not learn to cook! You moved out of the house, so no more mommy’s cooking, and you still cannot cook for yourself? Are you unable to prepare your own meals that match your goals? This “skills gap” means that many men depend on someone who will make food choices for them. Cooking your own food is the basic form of self-reliance. You consciously give your goals related to building your body into the hands of others. Be smart, get up and put on an apron. Start working on this basic skill, which is preparing your meals. You do not have to take on complicated dishes. Strong social pressure related to appearance is exerted on women. Women who surround themselves with other women constantly consider what they eat, how much they eat, how they look and whether they accidentally do not gain weight. Men do not feel such pressure. Big bellies and strong silhouettes are more often accepted in their case. Men are less concerned that they ate a little too much or that they weigh a bit more. This is especially true for men who already live in marital relationships. Get divorced. No, not really, but imagine that you got divorced. Imagine that you are a single again and you have to look for what you look like. Does this belly protruding from the shirt look attractive? High school has ended. You are no longer 17 years old, you do not do many sports anymore, and games and training do not last many hours almost every day of the week. Even if you train regularly, you probably have a limited time and have other responsibilities. The diet must be adapted to current needs and the current level of activity. It’s time to eat like an adult. It’s time to start realising that even if you once got away with eating a ton of sweets and three dinners during the day, it’s not necessarily the same. Adjust your current diet to your current lifestyle and current energy needs.